The Rocky Horror Show returns to the West End for a limited run at the Playhouse theatre. Tickets for the 11th-26th of September are on sale now. Best availability is 21st – 26th. Show creator, Richard O’Brien is set to star as the narrator in The Rocky Horror Show, which will be running for just over two weeks in the West End. O’Brien played the role of Riff Raff in the shows original production and in the cult classic film. This will mark the former Crystal Maze host’s first return to the show in over 20 years. O’Brien is set to star in all of the London performances before taking the show on a UK tour. The show opens at the West End’s Playhouse Theatre on the 11th September 2015. 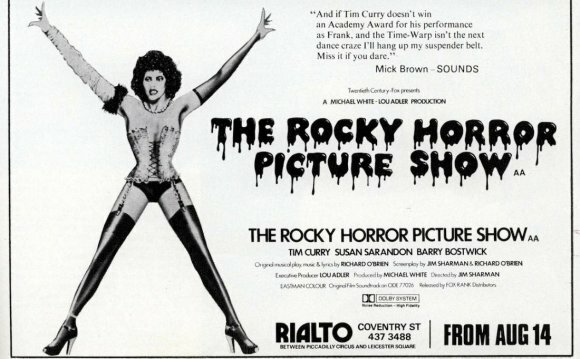 The show premiered at the Royal Court Theatre in London back in 1973 and following its success was later adapted into the film, The Rocky Horror Picture Show. The screen version boasted the longest running release in film history, which has helped to perpetuate the success of the stage production. The Rocky Horror Show has since taken the world by storm with productions taking place in over 30 countries. Speaking to the press, O’Brien said: “I love the show for so many reasons. No one expected it to have any more life than the five-week run. It went on, and then the years went on”. Please note although it is not compulsory some audience members like to dress up in the style of characters from the show, bring props, shout out lines and sing along during the performance. This is optional and all part of The Rocky Horror Show experience.